Kansas Senate President Susan Wagle outlining new policy proposals to address voter frustrations. 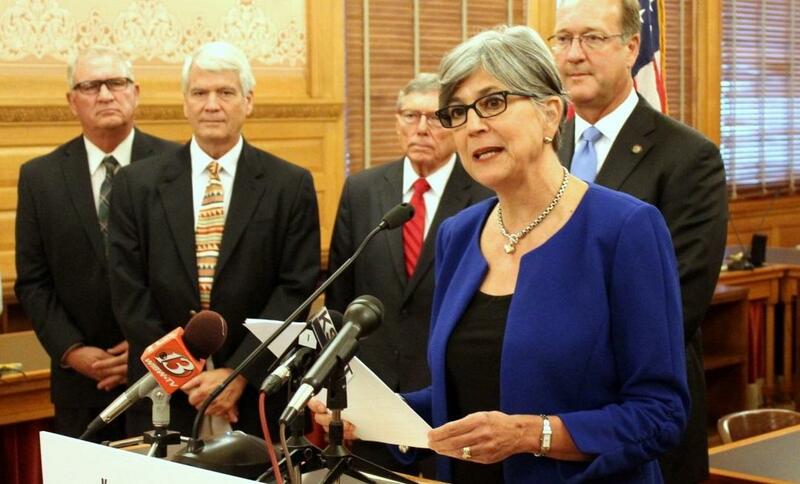 Kansas Senate President Susan Wagle and Republican candidates for that chamber have released a series of policy proposals, which include the possibility of amending tax cuts made in recent years. The plan includes overarching themes on topics such as balancing the budget, writing a new school funding formula and creating fairness in the tax code. Wagle is working to harness voter frustration with the Legislature and the budget. She's laying out a message aimed squarely at those Kansans. “We have heard you. We have listened. We are just as upset as you are,” says Wagle. 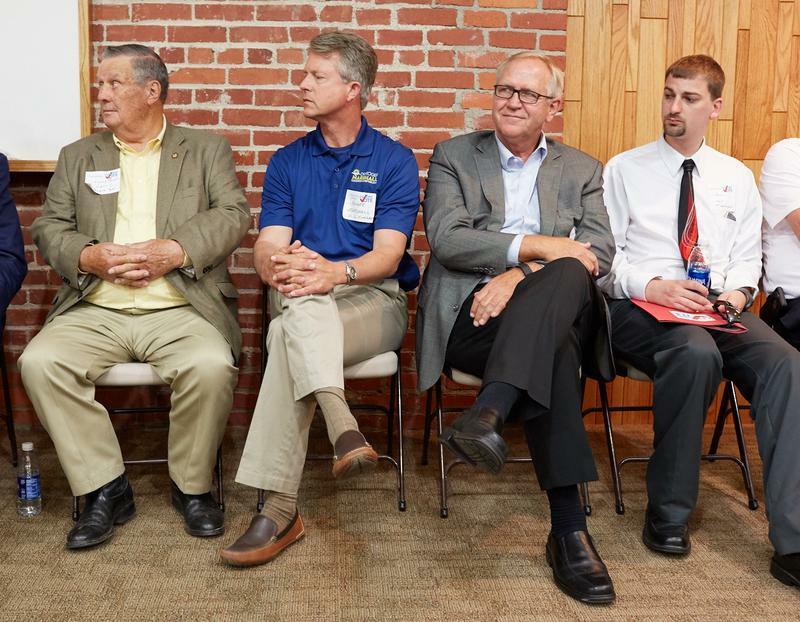 Wagle was flanked by nearly 10 senators and Senate candidates, ranging from conservatives to some of the more centrist-leaning candidates that defeated incumbent Republicans in the primary. Some lawmakers and candidates want to revise the state's current tax policy, and Wagle says it’s one of the budget-balancing moves they will consider. “The shortfall is so great and it’s so unexpected. We have to fund the rainy day fund. We have to make the ends meet the means. We have all proposals on the table. We will consider them all,” says Wagle. Several GOP lawmakers lost their primary elections this year and Republican Governor Sam Brownback's approval ratings are among the lowest in the nation. Lee Kinch, with the Kansas Democratic Party, believes Wagle's plan is an effort to distance Republican senators from the governor. “It’s clearly calculated to influence their elections. The timing is really suspicious, one month before the election. They’re running away from Brownback,” says Kinch. A total of 26 sitting senators and candidates for the Senate have signed on to the plan. 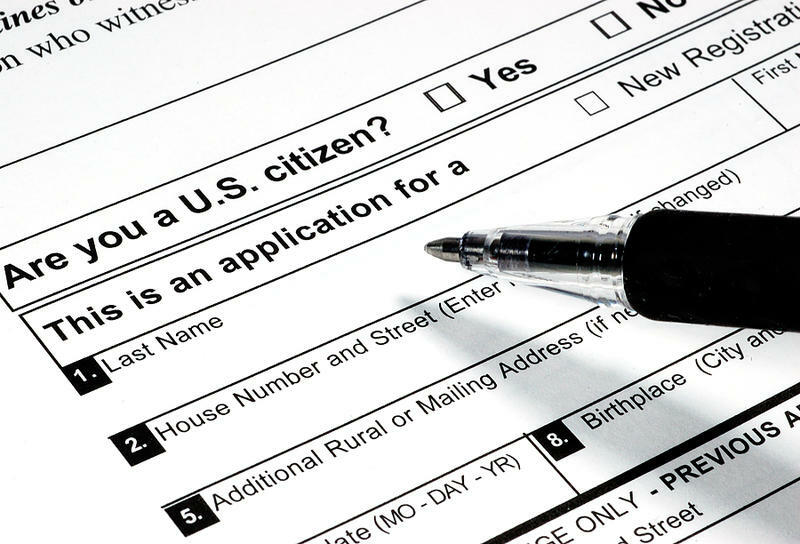 Kansans who register at motor vehicle offices will appear on the regular voter rolls and get standard ballots for the upcoming general elections. "If they call and ask if they're registered voters, they should be told that the answer is yes," says Micah Kubic, executive director of the ACLU of Kansas. Online, those voters' status will be displayed the same as other registered voters. Politicians like Bill Graves, Bob Dole and Nancy Kassebaum – Kansans who were willing to reach across the aisle and set political ideology aside in the interest of public policy. In far Western Kansas, Senate District 39 spans 10 counties -- it’s vast and it’s flat. For once, there is a Democratic candidate out here. Zach Worf, a political novice, is the first Democrat to try for the senate seat in a long time. The real race is still the Republican primary. This time it’s a contest between incumbent Sen. Larry Powell and Garden City Rep. John Doll. Doll says he knows what the prime attack against him will be: that he used to be a Democrat.